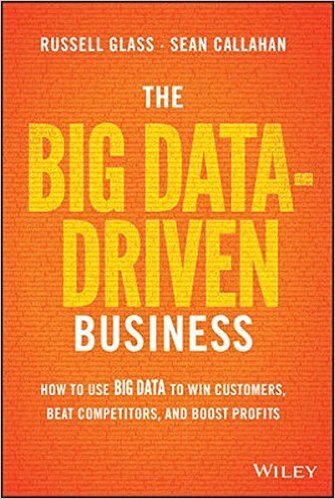 These are the notes I took from the book, The Big Data-Driven Business: How to Use Big Data to Win Customers, Beat Competitors, and Boost Profits by Russell Glass and Sean Callahan. I took these notes as I read the book. 2012 Forrester Blog Post - by Lori Wizdo - a potential customers can be 90% through the buyer journey before contacting a vendor. CEB estimates that they typical B2B prospect is 57 percent of the way through the buyer’s journey before contacting a sales person. Author Woods says, Marketers must rise to the challenge: marketers must cultivate new skills to observe and understand the buyer’s digital body language. “Stepping Up to the Challenge: CMO Insights from the Global C-Suite Study” - a 2014 IBM study by IBM concluded: Where the CMO and the CIO work well together, the enterprise is 76% more likely to outperform in terms of revenue and profitability. At CSC….the tele qualifications group basically does as many as 5 attempts to gather advance criteria on the prospect, and only the ones that pass the advance test get passed on to sales. Driving leads that are based on data is central to the way this relationship is constructed. DocuSign lead scoring 1.0 - This approach still informs the foundation of DocuSigns’ approach, but the company is also working with suppliers, such as Lattice Engines and Mintage, two lead-modeling software platforms, that use big data to help ID the leads most likely to convert. Biro CMO David Karel is a data-driven marketer. When he joined the company in 2010, he was the first hire in the marketing department. His first major step was beginning to build out our marketing technology stack, a process he believed was essential to creating a marketing organization that could support the sales staff in driving revenue. At the top of the funnel, the company’s display ads targeted internet users who’s profiles indicated they were executives in relevant sectors. Zora wanted to build awareness within the largest possible relevant target audience. In the mid-funnel, the company used display and SOME ads to engage and educate users. The ads prompted tools such as eBooks….. In the lower funnel, the company used retargeted display advertising to offer a free trial of it’s service. In the mid-funnel, Zendesk display ads that pushed educational content pieces resulted in more than 1,000 white paper downloads and webinar registrations. And in the lower funnel, display ads helped drive more than 2000 free trials. Marketing leaders need to be focused on results / business results not just marketing metrics. 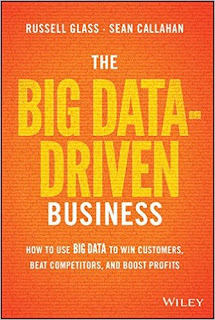 Lisa Arthur, CMP of Terradata Marketing Applications and the author of “Big Data Marketing” says many marketers may be blowing this opportunity to play a big role in their company’s destiny. A numbers-driven approach is now not only possible but necessary to be successful. Brian Kardon, CM Lattice Engines, “You can beat much bigger, well-funded companies if you’re able to harness that data. Its a way to get an amplifier effect to do amazing things. Big Data could be the key for a lot of small companies, giving them a much better return on their marketing dollar. It’s a great leveler." “The primary reason I came to Zendesk was they didn’t have a big marketing org.. Its a rare chance to build a marketing org almost from scratch. It’s a new age marketing org that doesn’t have any traditional silos…I came to build the most advanced, sophisticated B2B marketing team ever." created a big content team - hired 6 full-time content people. All they do is create content left and right. - content is crucial to understanding how customers are self-educating as they move through the buyer’s journey, most of which takes place online. Analyzing content pieces can provide insight into which ones are the most influential in driving prospects through the marketing funnel. (leads, pipeline, accelerate deal velocity, etc). Hired a large analytics crew. created marketing stack. Includes 30 different kinds of software from Optimizely to Convertro. They are in charge of all the attribution, the reporting, a lot of the insight. They are in charge of training the rest of the team how to use the tools. They make sure we are leveraging all the data out there. The ability to properly attribute what marketing tactics are accelerating prospects through the marketing funnel is vital. USE NPS with content and the marketing funnel when deals close. Seeking “primary reason for the score." When Analyzing Customers , what characteristics do you best customers have in common, and where can you find more of them? Rules-based attribution - assign certain value to a particular tactic based on predetermined rules.